The Doctor was great and his staff was very friendly and professional. However, I was charged a lot of money andthe bill was incorrect. When I asked for an itemized bill, or some sort of receipt indicating what I was being charged for, they couldn’t give me anything. I was only given a credit card receipt. When I asked why I couldn’t get a proper invoice, or how I am supposed to know that I’m not being charged an arbitrary amount, I was told that they wouldn’t have a bill like that until after they bill the insurance. That doesn’t really make any sense, because the insurance has to know what they’re being charged for. My FSA wouldn’t accept the receipt they gave me, because it only says that I was charged money and not what it was for. The Doctor was great and his staff was very friendly and professional. However, I was charged a lot of money and the bill was incorrect. When I asked for an itemizedbill, or some sort of receipt indicating what I was being charged for, they couldn’t give me anything. I was only given a credit card receipt. When I asked why I couldn’t get a proper invoice, or how I am supposed to know that I’m not being charged an arbitrary amount, I was told that they wouldn’t have a bill like that until after they bill the insurance. That doesn’t really make any sense, because the insurance has to know what they’re being charged for. My FSA wouldn’t accept the receipt they gave me, because it only says that I was charged money and not what it was for. The Dr Le and his back office staff were great. They treated me with care and concern. However, the front staffcould be a little bit more inviting. They did not greet me when I came in. The checkout was bad. I was standing at the front for 5 minutes waiting to pay. The receptionist didn't tell me "please have a seat I'll call you in a minute," or "I'm sorry please give me a moment." She managed to have a mini convo with the other receptionist in front of me and the whole time from when I got to the front, she did now acknowledge my presence. Again, I would return because the care was great. Just a little more work at the front. The Dr Le and his back office staff were great. They treated me with care and concern. However, the front staff could be a little bit more inviting. They did notgreet me when I came in. The checkout was bad. I was standing at the front for 5 minutes waiting to pay. The receptionist didn't tell me "please have a seat I'll call you in a minute," or "I'm sorry please give me a moment." She managed to have a mini convo with the other receptionist in front of me and the whole time from when I got to the front, she did now acknowledge my presence. Again, I would return because the care was great. Just a little more work at the front. 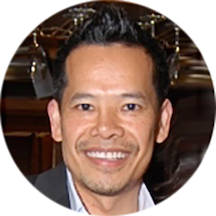 Dr Hung Le has been in private practice for over 10 years. In his career, he has helped thousands of patients to improve their vision. He specializes in state of the art cataract surgery, refractive surgery (LASIK & PRK), glaucoma, eyelid surgery, and medical retina. He also welcomes new patients for routine eye care and common eye conditions. It went pretty well, they checked my eyes thoroughly. The wait time is pretty long. when he gave me the prescription it didn't have the contact vision measurements and he said i didnt need it. didnt give me a set of contacts to wear or the prescription. I had the walmart vision doctor contact them to get the prescription. very VERY nice man, lovely staff and a waiting room like a photographic show in a museum (absolutely breathtaking shots of Viet Nam taken by the DR's father!! I felt very well-attended and very well-taken care of while in Dr. Le'soffice! (The office had plenty of patients, so OF COURSE there was a short "wait time" before I saw the doctor!! Dr. Hung Le was very professional and he takes time to make sure you understand what is going on with your eyes. I will continue to go to him and have told family and friends about him.